He became a Lieutenant in the Canadian Militia June 26, 1886. He joined the Regular Canadian Army as Lieutenant in the Canadian Mounted Infantry, Permanent Corps of Canada April 6, 1888. He transferred into the NWMP September 1889 and appointed Inspector (Regimental Number # O.95). He served at various locations during his 17 years with the Force. He was the Adjutant of the NWMP, the CO of “Depot,” commanded “C” and “G” Division and the Battleford District. In 1897 he played a prominent role in tracking down Almighty Voice for the murder of Sergeant Colebrook (Reg. # 605 – #19 Honour Roll) and the later murders, while trying to arrest Almighty Voice, of Corporal Hockin ( Reg. # 31063 on the HR) and Constable Kerr (Reg. # 3040 – # 22 on HR). For the Boer War, Archibald volunteered into the 2nd Battalion Canadian Mounted Rifles for service in South Africa. During the second Boer War in January 1900, as a Captain and later promoted to Major. He fought with and was commander of the 5th Battalion Canadian Mounted Rifles and was awarded the Distinguished Service Order for his actions. 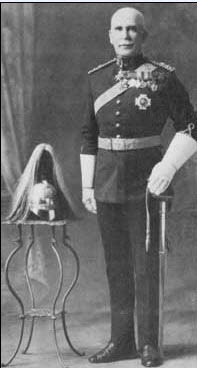 Inspector MacDonell resumed his rank with the NWMP following the South African War and was promoted to Superintendent in March 1903. In 1907 he resigned from the RNWMP and transferred to the Lord Strathcona’s Horse. He was later appointed Commanding Officer and took the regiment overseas to England in 1914. He was the Commander of the 7th Canadian Infantry Brigade and 1st Canadian Division during WWI. Sir Archie had been awarded the Order-Knight Commander, The Most Honourable Order of the Bath (military division) for his service in the First World War. 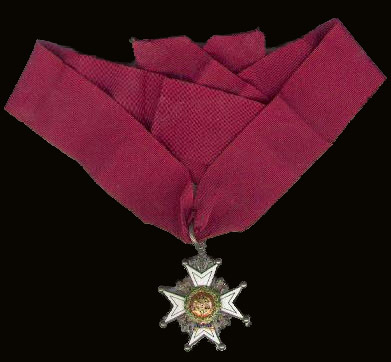 This grade of Order conferred Knighthood and the right to bear the title, “Sir.” He was awarded the neck badge and the Breast Star of a Knight Commander of the Order of the Bath. After being promoted to Brigadier-General, he commanded the 7th Infantry Brigade, 3rd Canadian Infantry Division and in June of 1917 the 1st Canadian Division. Not for nothing did the men of 7th call MacDonell “Fighting Mac” and sometimes “Batty Mac” because of his eccentricities under fire. Everybody knew the story of how he’d gone so far into No Man’s Land that a sniper put a bullet in his arm. Instead of ducking, “Batty Mac” had stood up swearing, shaking his unwounded arm angrily at the sniper, who immediately put another bullet in his good arm. And everybody also knew that MacDonell at the Somme, had insisted on walking among the wounded after the attack on the Regina Trench, unmindful of the enemy shells, to salute the corpses of the Black Watch. A sentimental Scot who sometimes swore in Gaelic in moments of great pressure, MacDonell stopped at every corpse and said “I salute you, my brave Highlander,” until he was pulled to safety. 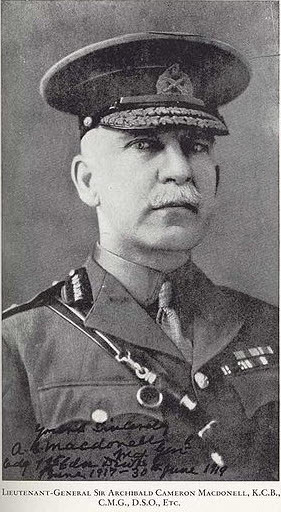 Lt-General MacDonell wrote of his experiences in the South African War and First World War, but never got around to writing about his service in the NWMP and RNWMP. A shame! Veteran Ric Hall submitted this article. His submitted articles are one of the most viewed webpages on this website.